We have the expertise to handle any size roof replacement project from start to finish, with little disruption to the clients’ activities. 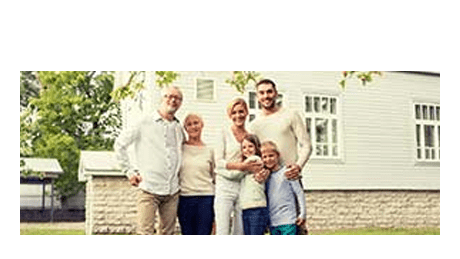 Our goal is to add you to our family of over 30,000 satisfied property owners across the South. 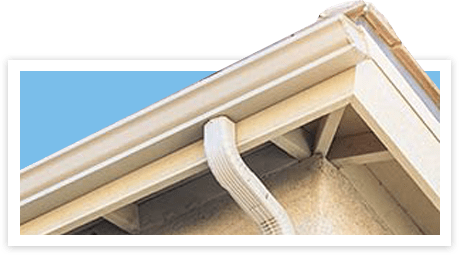 For almost three decades, Professional Roof Applicators Inc has been providing outstanding siding installation services in major metropolitan areas of Louisiana, Texas, Georgia, and North Carolina. 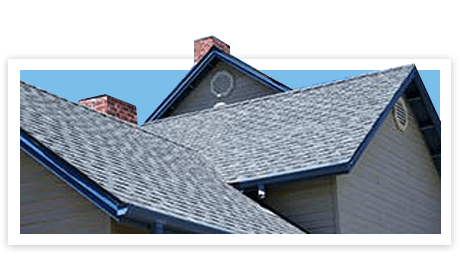 Professional Roof Applicators Inc is a total exterior restoration and repair company which actively serves families and businesses throughout the Southeastern United States. 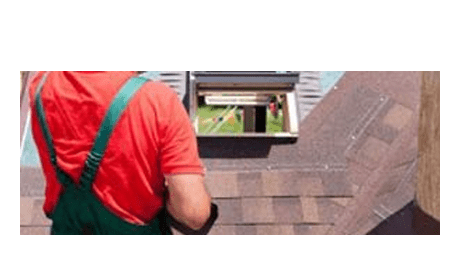 Professional Roof Applicators Inc is recognized as one of the most reliable total exterior restoration, and repair companies in major metropolitan areas of Louisiana, Texas, North Carolina, and in the other areas we serve nearby. I had a small leak and called PRA to come look at it. Mike got on the roof to look, and found wind and hail damage. They helped me get my insurance company to pay for a new roof! All from a small leak! Great job guys! Many many Thanks! I love my new roof! As a local guide for google with over 4k views and opinions that have helped over millions of people..I would like to say that this company is one of the most professional roofing companies I’ve seen out there,they were there to help me from start to finish…and one plus in my book is that the crew’s that installed our roof kept a clean and organized job site..
We recently had our roof replaced by this company. We were very pleased with the job they did. They worked with our insurance company to work out the details. Everything was completed as agreed and they cleaned up everything before they left. 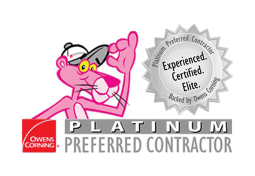 We would not hesitate to recommend them. - Dan & Katherine R.
AMAZING. Service was great. The workers did there job and cleaned the entire area after the roof was complete. Dusty climbed on the roof and did a through inspection and went over several options. I did not have a insurance claim so he explained all the finance options and the 0 percent worked best with a payment I could afford. Thanks PRA for all your help. 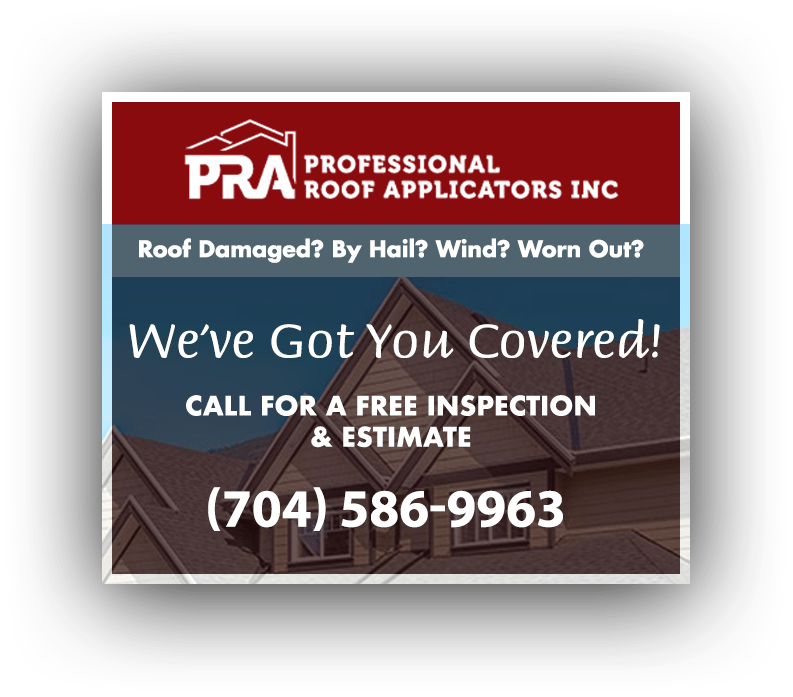 If you’re looking for reliable full-service roof replacement contractors in Charlotte, NC and the surrounding areas, you can trust Professional Roof Applicators Inc. Our team has over 300 years of experience working in the industry, so you can rest assured that your project is in good hands.